As with your windows, choosing the right doors for your home is important. Not only are they the entrance to your home, but doors are also the point that the eye is naturally drawn to. This makes style and sophistication as important as security and protection. 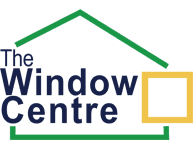 The Window Centre takes pride in providing front doors & back doors that come in a range of styles and with a 10-year guarantee. Explore our range of doors, door accessories and glass options now to learn more. Our knowledgeable staff are always on hand to help you choose the perfect door for your property. Contact us below. Have a look at the styles displayed on this page and click on each option for more information. We have a wide range of additional features, ranging from your simple letterbox and door handles to locking systems, cameras and patterned glass. We’ll come and measure your new door and provide a quote. We’ll work on the design with our specialist software and keep in contact with you. Leave it with us and you’ll have a new door in no time!  At The Window Centre, we are proud to offer a huge variety of door types. Click on the links below to find out more about each product. For The Window Centre, doors are much more than just entrances. Our carefully chosen range of composite doors provide strength, security and a beautiful look to any property in Harrow. Are you looking to open up your living spaces? Our bi-fold doors are not only elegant and of the highest quality, but also energy efficient and effortless to operate. Simple, yet elegant and strong – uPVC doors are great for front doors & back doors, as well as side entrances. They’re low maintenance, low cost and high quality. French doors create a traditional and elegant look for your home. Made from uPVC or aluminium, they are perfect for all gardens and patios. The sliding patio door option works seamlessly to open up living rooms to the outdoors. They add lots of light to a room while remaining well insulated. To find the perfect door, request a call back using the form below.